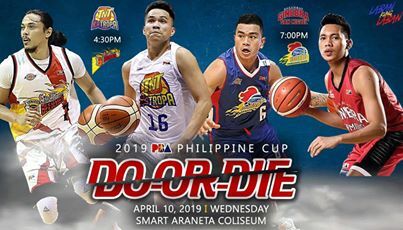 Here are the details for Barangay Ginebra and Magnolia Hotshots in Game 3 of their best-of-three quarterfinals series in the 2019 PBA Philippine Cup. The Magnolia Hotshots eliminated Barangay Ginebra after a decisive 85-72 Game 3 win. Hotshots overcame a 0-1 series deficit and booted out Ginebra for the second straight conference as it reached the 2019 PBA Philippine Cup semifinals. Paul Lee led the Hotshots with 25 points, who converted 5 three-pointers. Mark Barroca contributed 13 while Aldrech Ramos and Ian Sangalang added 11 and 10 points respectively. Jeff Chan scored all of his 17 points in the fourth quarter to lead the Ginebra. Magnolia will face Rain or Shine Elastopainters in a best-of-seven semifinals. Watch the game highlights as the Magnolia Hotshots defeated the Barangay Ginebra, 85-72, in Game 3.